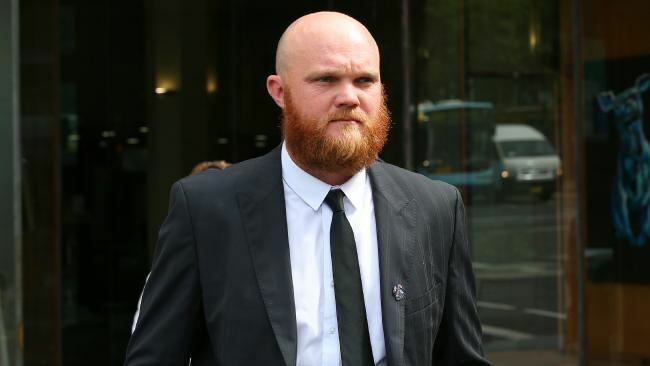 Douglas Erwin Bollinger (born 24 July 1981) is a professional Australian cricketer who has recently played first class county cricket for Kent. He previously played first-class cricket for the New South Wales Blues and international cricket for Australia. He is a left-handed batsman and a left-arm fast bowler. He also played for the Chennai Super Kings in the Indian Premier League until 2012. A resident of Parklea he commenced his playing career at 15 with Seven Hills Toongabbie RSL Cricket Club where he was noted as being no more than an enthusiastic but erratic bowler during his early days. 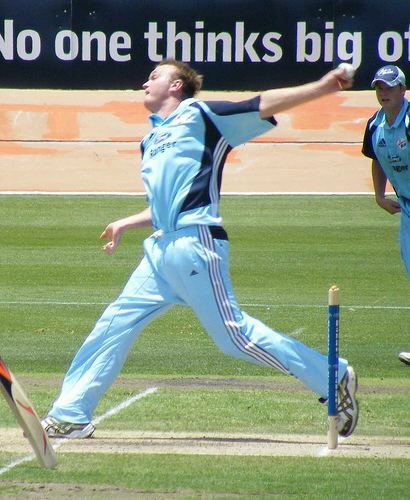 The left-armer debuted for New South Wales in 2002–03. In the 2004–05 season, in an ING Cup match against South Australia, he picked up a hat-trick in dismissing the Redbacks brittle top order. Following this innings, he did not continue this form. He generated some success in the One-Day form of the game, taking 27 wickets at an average of 28.32 in 20 matches leading to the Australian selectors naming him in a 30 man squad for the ICC champions trophy tournament in India. Bollinger is one of a select group of up and coming Australian cricketers who have spent time at the Commonwealth Bank Centre of Excellence honing their cricket skills, in the hope of gaining national selection. The end of 2006–07 season saw the retirement of Glenn McGrath, who is the fourth highest wicket-taker in Test history, opening up a bowling position in the Australian team. Bollinger staked his claim early in the summer. He took a five wicket haul in NSW Pura cup match against WA. In a devastating spell of pace and swing not seen at the WACA for some years Bollinger claimed yet another hat-trick and ended up with the figures of 5/38. He made his Test debut for Australia on 3 January 2009 in the Third Test against South Africa at the SCG. On 1 May 2009, Bollinger claimed his first ODI five-wicket haul, which came against Pakistan at Sheikh Zayed Stadium in Abu Dhabi. He picked up 5/35 and won his first Man of the Match award. In the 6th ODI versus India at Guwahati, he took 4 wickets and was declared as the Man of the match again. Bollinger was signed up by Chennai Super Kings for the 2010 Indian Premier League. He has been included in the roster after the Super Kings all-rounder Jacob Oram confirmed his unavailability for the season due to injury. Bollinger arrived for the second half of the tournament after the end of the tour of New Zealand. Bollinger is the fourth Australian to play for the Super Kings after Matthew Hayden, Michael Hussey and George Bailey. In his IPL debut, he helped Chennai defend a total of 246 against Rajasthan by taking a catch off Yusuf Pathan which was going for a six; he backpedalled and caught the ball and had to throw it up in the air before falling over the rope and then rebalancing himself to complete the catch. This earned him an award for the best catch of the match. He delivered a spell of 2/15 from four overs dismissing Shane Watson who got 60 off just 25 balls in a match which the other Chennai bowlers averaged 13 runs per over in contrast to his 3.75. Rajasthan ended their innings at 223. On 11 April 2008, Bollinger married fiancee Tegan Sutherland in Wollongong. The couple also have a daughter named Skye.